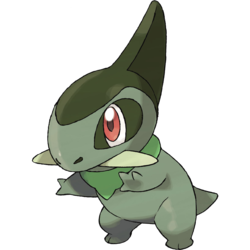 Axew in game: 8,683 Who? Important notice! 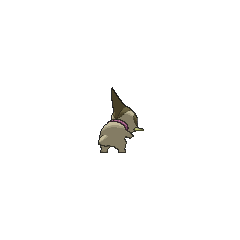 Pokemon Axew is a fictional character of humans. 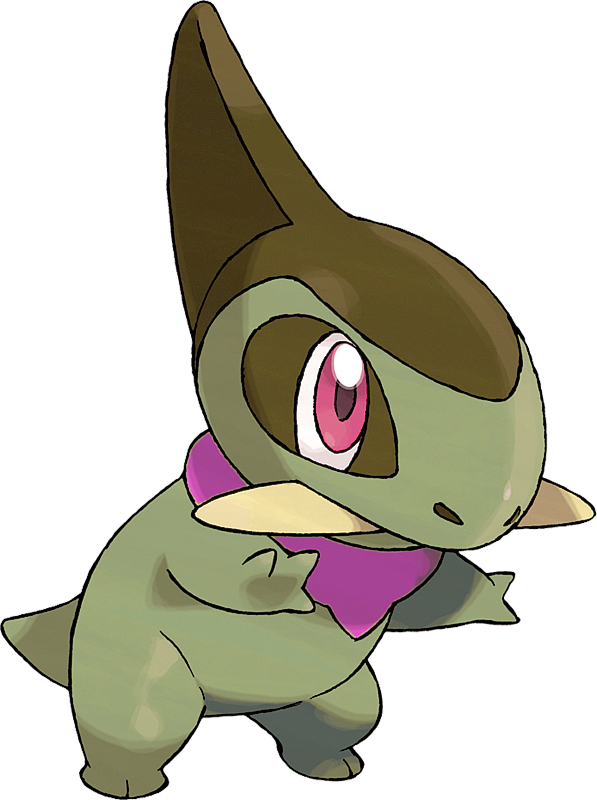 Axew (Japanese: ??? Kibago) is a Dragon-type Pokémon introduced in Generation V.
Iris owns an Axew, which was introduced with her in In The Shadow of Zekrom!. She carries him with her, outside of a Poké Ball, in her hair. Axew's major goal is to evolve into a mighty Haxorus. A female Axew owned by Erina appeared in Lost at the Stamp Rally! and later appeared in a flashback in Battling the Bully!. Multiple Axew also appeared in A Maractus Musical!. Multiple Axew appeared in Village of Dragons in A Village Homecoming!. 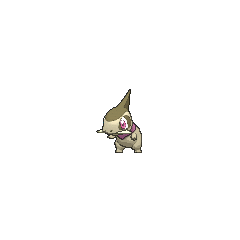 An Axew appeared as a plush toy in A Jolting Switcheroo!. An Axew under the control of a virtual Trainer appeared in A Stormy Time in the Battle Subway, where it managed to easily defeat White's Darling. Another Axew appeared as an illusion from N's Zorua while on the Driftveil Drawbridge. An Axew appeared in An X-cuse to Come Out and Play with its trainer as Vaniville Town was being destroyed from a battle between Yveltal and Xerneas. Axew's tusks resemble that of Scutosaurus or a ceratopsian. Its crest may be based on a hadrosaurid (Saurolophus, specifically), or perhaps a Corytophanid such as the brown basilisk. Kibago may be a combination of ? kiba (fang or tusk), ? ago (jaw), and dragon.